Heeft u een vraag voor Mahal Kita Drive Inn? Voor reizigers die voor de bezienswaardigheden van Manila komen, is Mahal Kita Drive Inn een perfecte keuze. Het levendige stadscentrum is slechts 9.3 Km verwijderd. Dankzij de praktische ligging, biedt de accommodatie eenvoudig toegang tot alle belangrijke trekpleisters van de stad. De faciliteiten en diensten die door Mahal Kita Drive Inn worden geboden, garanderen een plezierig verblijf voor gasten. Enkele voorbeelden van voorzieningen die de accommodatie biedt, zijn 24-uur roomservice, gratis wi-fi in alle kamers, dagelijkse schoonmaak, 24-uur receptie, wi-fi in openbare ruimtes. Alle accommodaties beschikken over goeddoordachte voorzieningen om een ongeëvenaard gevoel van comfort te garanderen. De accommodatie biedt talrijke recreatieve mogelijkheden, zodat u voldoende te doen heeft tijdens uw verblijf . Mahal Kita Drive Inn is een ideale verblijfsplaats voor reizigers die charme, comfort en gemak in Manila zoeken. Voor uw informatie, het hotel heeft geen lobby noch een receptie. Er wordt zorggedragen voor inchecken of registratie op de kamer. Houd het hotelvoucher gereed bij het inchecken om vertraging te voorkomen. This place brings me lots of both good memories & bad de javu. I somehow had this feeling that the environment is unsafe. Maybe that's why there are two doors leading to your room. I would not recommend families & female solo travelers as you don't know what could happen to you when you are sleeping. It just gives me this feeling even as a man. However, I had lots of good memories because of the EDSA international complex nearby. The hotel staff are very attentive and will provide extra security to you especially when you have guests visiting your room. We stayed here with our 4 kids (1mo - 11yr). It was a cheap place but better than most other cheap places we stayed. The cable TV had many movie channels and about 100 channels. Internet was fast. Water was hot. And the room was very large. The staff was friendly and helped us find locations nearby and get taxis. They also let my parents store their luggage while we went to the mall of asia. Also, the location is great, right by all the bus stations, close the the mall of asia and to the airport. I will stay here again when I return to Manila. Shower water salty. Room without window. Wifi signal poor. Walking distance to market and train stations. Not family friendly place. A lot of short time customers. Staff was really helpful. 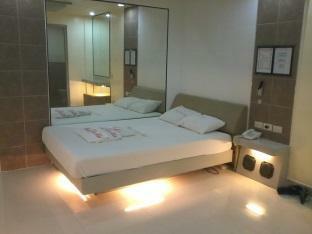 got direct bus from airport to hotel with budget stay in cityside. When u book this there is a button(its a button u cabnot see if its a button to press). There was written "free breakfast". It was totally unclear that i can press it. So surely by pressing it the whole price raise. So were please is the "free"??? Its a word game and i supposed its really a price for a really free breakfast. After 3 days odering my "free" breakfast i had to pay 990peso. I was really angry because the picture of the hotel with the "free" breakfast was irritating. And i am sure its a trick. So for that i cannot recommend this hotel anymore!! Would recommend to the traveller that does not look at the outside of a place and makes a decision. It is a wonderful place with friendly staff and great food. The room was very nice and quiet considering the noise of the city outside. The food I highly recommend from the restaurant 5 star there. As for the room itself the only down side out found was the hot water and shower not up to standard considering the rooms cleanliness and how nice it was. I paid about $30 per day and stayed 2 days. It is a drive in - love lodge type motel. If you are thinking about staying their with your wife or kids, just be aware that most of the time it is used for short sexual encounters. 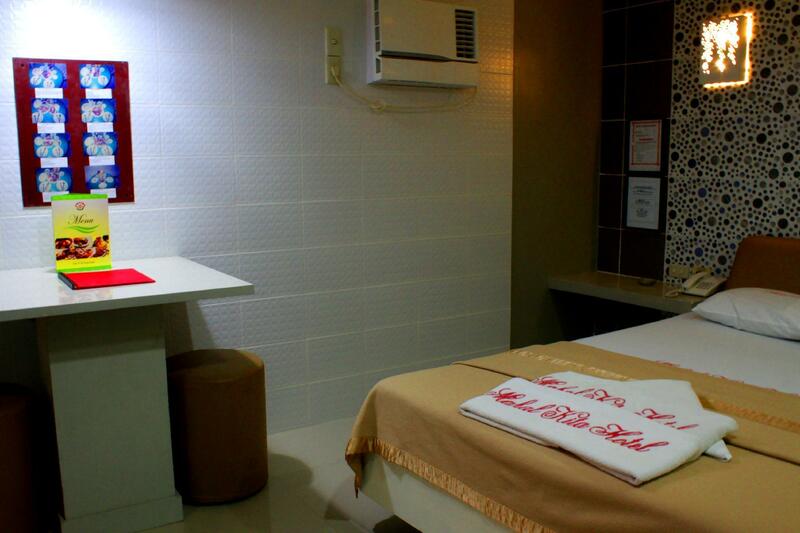 But, I had to be in Manila for a medical appointment, and it is a cheap nice place to stay. Plus the in room free wifi was good and fast. The outside area of the place does not look great. Typical old Filipino building. But don't let that stop you. I booked a Deluxe room with breakfast (their most expensive available) and the room was great! No problems with the room at all, other than no real hot water in the shower, but that was to be expected. The room was very nice clean and the staff was great. Air con great! It is a quick - 10 min jeepney ride to Mall of Asia. Outside the hotel is Edsa Street. Within a five min walk, 7-11, McDonald's, Chow King, etc. It is in a busy location of Manila, and you can walk right out onto Edsa street and see hundreds of people pass you by within 1 minute. I have lived in the PI for more than 8 years and, with the type of room I booked, I thought everything was great. I was terribly disappointed that the place was not near what I thought when I looked at photo on Agoda site. I got this room for my girlfriends brother. I felt bad the whole time I was there on the quality of the place I got him. The room was far from what you can see on the picture, but had what we needed to have a few hours of sleep between the flights (a shower and a bed). Airport transfer is charged separately (400 pesos), you'd better use yellow meter taxi which you can find in terminal 3, transfer will take around 120 pesos. Hotel is cheap of course, but wouldn't want to stay there in future. 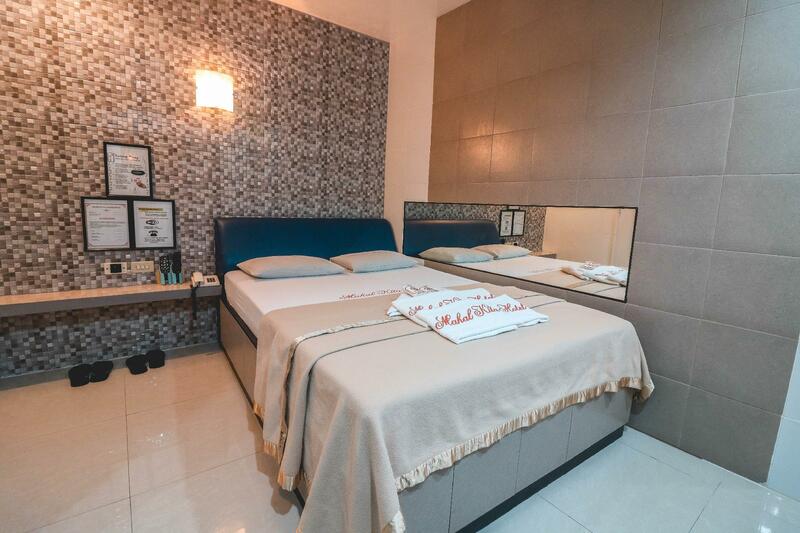 Good value, close to Pasay MRT and airport loop bus. Good to stay here because the hotel is near to shopping area such as metro point,baclaran,nsm mall beside near to lrt,mrt n else.. Positive 1. very fast internet connection, max at 10Mbps 2. near to LRT / MRT stations 3. Hot shower 4. Lowest price Negatives 1. Water NOT from Water System, seems to have nano sands. 2. NO Lobby 3. NOT for sensitive (ma-art-ty) persons. 4. Telephone was down, do NOT check facilities. 5. You have to ask for Key(s), since most are just short times couples.